Twitter has users that either represent people (for example, @r38y) and users that represent something other than real people (for example,@LoseItorLoseIt). For a project I’m working on, I need to know whether a Twitter account is a person or something other than a person. 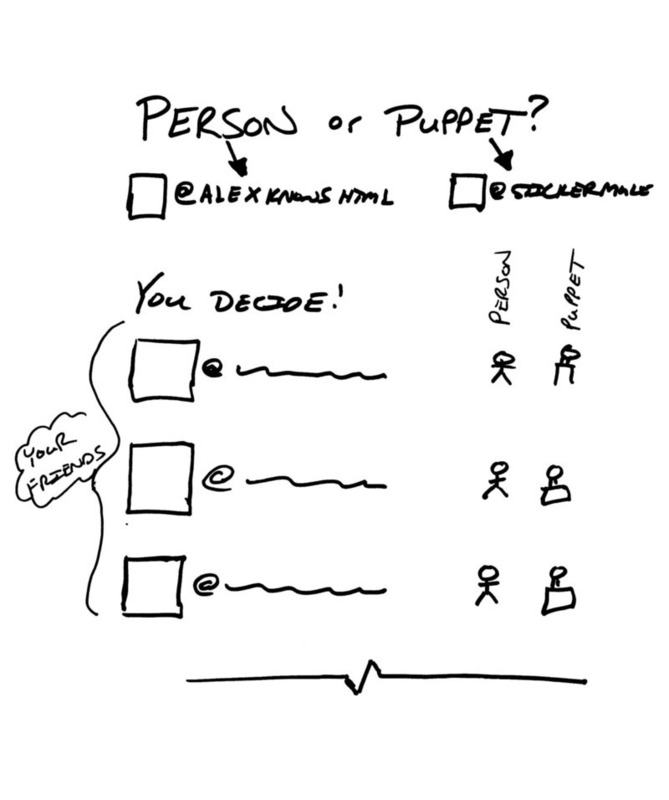 I’m thinking about creating a little app and API where people can link their Twitter account and help decide if someone they follow is a person or a puppet. If you query the API with a Twitter user id we’ll return their person score based on what people have decided. What do you think? I will stab you if you register (domain) names associated with this ;).